Linear expansion apparatus, Cowan type, for measurement of the change in length of a brass or other expansion tube with change of temperature from room to that of steam flowing through the tube. 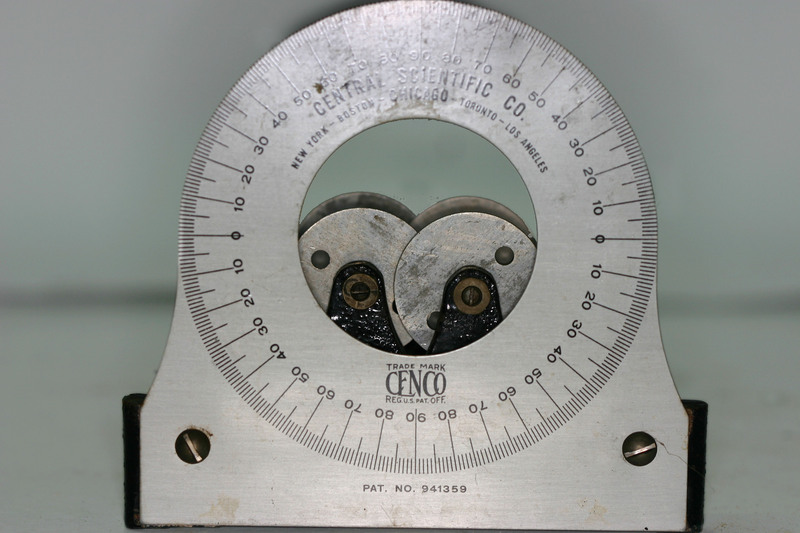 Readings for making calculations of the change in length are made from a graduated dial over which a pointer moves as the length of the expansion tube changes. This pointer is missing.